This song started out as a fun little groove thing I came up with about a year ago, basically the toy piano intro atop a hip-hop beat, the synth bass line, and a horn hook reminiscent of the 60s. 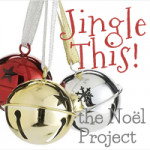 The idea gathered dust until it occurred to me to include this somehow on the Noël Project. The first thing to do was obvious: add sleigh bells to the toy-piano 1/8-note part. Now we had a Christmas song! Next, it occurred to me that since I didn’t use Angels We Have Heard on High for what eventually became Jesu, Joy, the “Gloria” refrain would work nicely with the chord progression. Just the gloria, not the in-egg-shell-sees day-o, (which by the way, was how our choir teacher taught us to pronounce “in excelsis deo”). In our day-long studio session, this was the first one we did, just two takes. I asked Bryon to play it with a tight shuffle for the first take and a looser feel for the second. I was planning to throw away whatever piano parts I did in the studio in favor of recutting them later during post-production, so I played whatever came to mind on almost carelessly on the piano during take one, and did the same with the organ sound from my Nord keyboard for take two. I didn’t originally intend to put organ on the song, but like I said, I just did whatever while we captured the drums and bass. I wound up not recording new parts, but decided to keep the original piano and organ performances as is. Brian Thiessen played strat on it. The title? It just seemed the cute, whimsical thing to do. Oh, and let’s not forget the “merry whistlers”. I put out a notice on Facebook and my newsletter for people to send in recordings of them whistling the “Gloria” part. Cute and whimsical, indeed! Publishing: Traditional/Public Domain adapted from Angels We Have Heard On High. 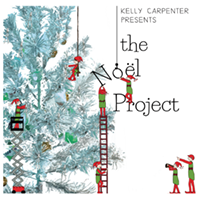 Original music by Kelly Carpenter, © 2013 KelSongs / Kelly Carpenter Music (ASCAP). All rights reserved. Recording credits: Bryon Atterberry: drums / Marc Miller: bass / Brian Thiessen: electric guitar / Kelly Carpenter: Nord piano, Nord organ / The Merry Whistlers: Merrilyn Carpenter, Phil McCoy, Andy Park, Darcy White. 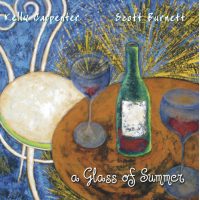 Basic tracks recorded September 2013 at 57th Street Productions, Monroe, WA by Scott Anderson.